Come and enjoy tours of the Gardens designed by America’s first female landscape architect, Beatrix Farrand and the History of the Harkness estate, EOLIA, presented free of charge from 11am to 3pm by Park staff and Friends of Harkness volunteers at Harkness Memorial State Park on Great Neck Road in Waterford, CT. Also, tours of the Harkness Mansion will be available from 10am to 2pm for a suggested donation. After your garden and mansion tours, please visit our Gift Shop, also open from 10:00 am to 2:00pm. Bring a picnic and enjoy the spectacular views of Long Island Sound from the Great Lawn. Visit www.harkness.org and Friends of Harkness on Facebook for more information. 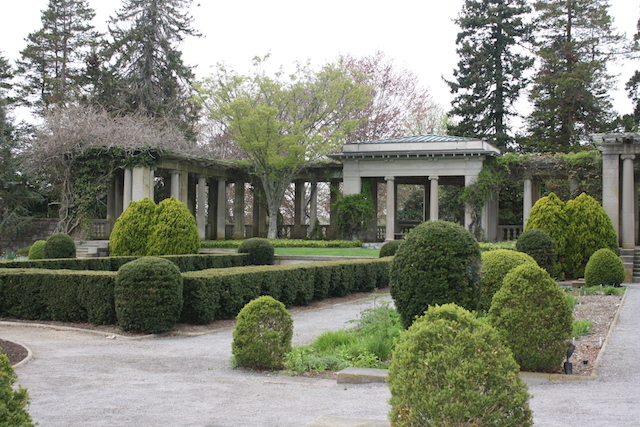 Harkness Memorial State Park is one of fifteen Distinctive Historic Garden sites in CT where activities and celebrations will be enjoyed on this day. Visit www.cthistoricgardens.org for more information.